Roma boss Luciano Spaletti has earmarked a potential deal for Liverpool’s Serbian flyer Lazar Markovic, claim Gazzetta World. Fiorentina and Sporting Lisbon have already been in preliminary discussions with us regarding a transfer, says the report, but it remains to be seen whether one of Markovic’s potential suitors will launch an official bid. Ideally Liverpool would sell Markovic permanently, but it remains possible that we’ll sanction a loan deal if nobody has tried to buy him before the start of the campaign. The winger is talented and now fully fit, could definitely offer a club something in one of the attacking midfield positions. With the competition at Liverpool though, he may not get the chances to develop and fulfil his potential – so a deal involving sell-on and buyback clauses – a la Jordon Ibe’s £15m Bournemouth switch – may benefit all parties. 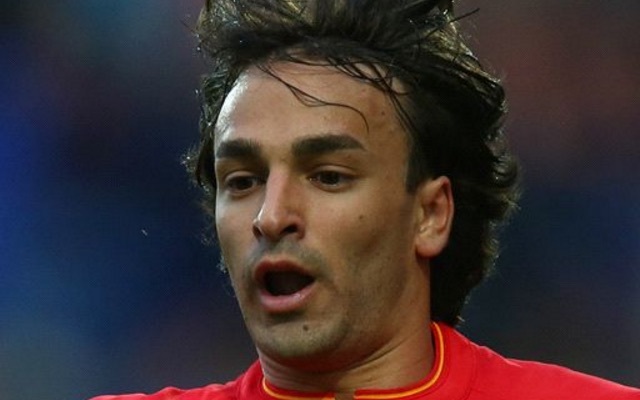 Liverpool signed Markovic for £20m from Benfica in summer 2014, but he’s not yet justified his price-tag – despite arriving with a big reputation.